After an alleged slip and fall accident aboard a deck on the Oceania Cruises Marina, one woman has filed a case with the U. S. District Court for damages related to her injuries. The woman claims that since the cruise line was negligent in several ways, it is financially responsible for her bone fractures and contusions. She alleges that the steps and flooring were not marked as being wet or slippery, nor were they dried in a reasonable period of time. Her allegations include that since the walkway was not secure and no measures were taken to provide a non-skid surface, and since employees were improperly trained, the cruise line is liable for her injuries. Is she right? How do cases like these work? Below, we’re going to break down how slip and fall injury cases work when they happen on a cruise ship. If you slip and fall aboard a cruise ship, you must be able to prove that the cruise line was negligent to win a personal injury case and receive financial compensation. Duty—The cruise line owed a duty of reasonable care to you as a passenger. Breach of Duty—The cruise line failed to meet the standard of care to you because of negligent acts. Causation—The cruise line’s breach of duty caused you to experience an injury. Damages—The injury you incurred resulted in financial costs. All four of these elements must hold true if you want to receive compensation for your injuries. Slip and fall injuries can happen in several different ways on a cruise ship. You may slip and fall on a wet deck or other flooring, fall on stairs, or trip over a doorway threshold. These accidents could be due to unsafe design, water or clutter left on flooring, no available handrails, or other problems for which you are not responsible. A knowledgeable attorney with experience in cruise ship cases will know if the contributing factors point to liability for the cruise ship. A cruise line should be expected to clean up spills in a reasonable time period, block off unsafe flooring, and make repairs as soon as possible. If the cruise line fails to meet reasonable standards of care, you should not be responsible for costs related to slipping and falling on their ship. Note that if your slip and fall accident happened during a shore excursion, you will most likely not be able to hold the cruise line responsible for your injuries, though there are exceptions. Consult with a lawyer about your unique circumstances. Florida law requires that you file a slip and fall claim within four years of your accident. You must file within that deadline if you want to receive compensation. 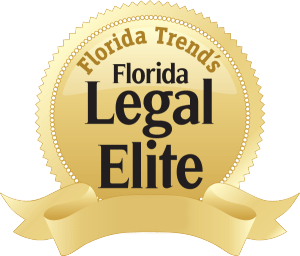 Another restriction under Florida law is the rule of pure comparative negligence. This means that if the court finds you to be at fault, your percentage of compensation will be reduced accordingly. If you need help filing a slip and fall claim against a cruise line, call an experienced Florida cruise ship accident attorney for help. Schedule your free case review today.